James Leon Alston was born on July 13, 1952, in Rocky Mount, North Carolina, the son of the late James H. Alston and Margie Skinner Alston. He departed this life on February 5, 2019, at his residence. James had worked as a concrete masonry worker for Magness Construction Company. He enjoyed spending time with his sister, Carolyn, and especially loved her cooking. James lost his only brother, Harold Steve Alston, on the same day as his passing. 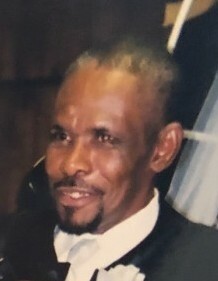 He leaves to cherish his memory: his only sister, Carolyn McCoy and one step-sister, Jeanette Arrington of Rocky Mount, NC; 3 nieces, Shenia Loatman, LaTonia Alston-Hill and Shante McIntosh; a great-nephew Carlton Alston; a great-niece Prishay Williams; a sister-in-law, Candace Alston, and a host of cousins, other family and friends. There will be a Memorial Service for James on Thursday, February 14, 2019, at 12 Noon, at Baynard Apartments Social Hall, 309 W. 18th Street, Wilmington, Delaware 19802.